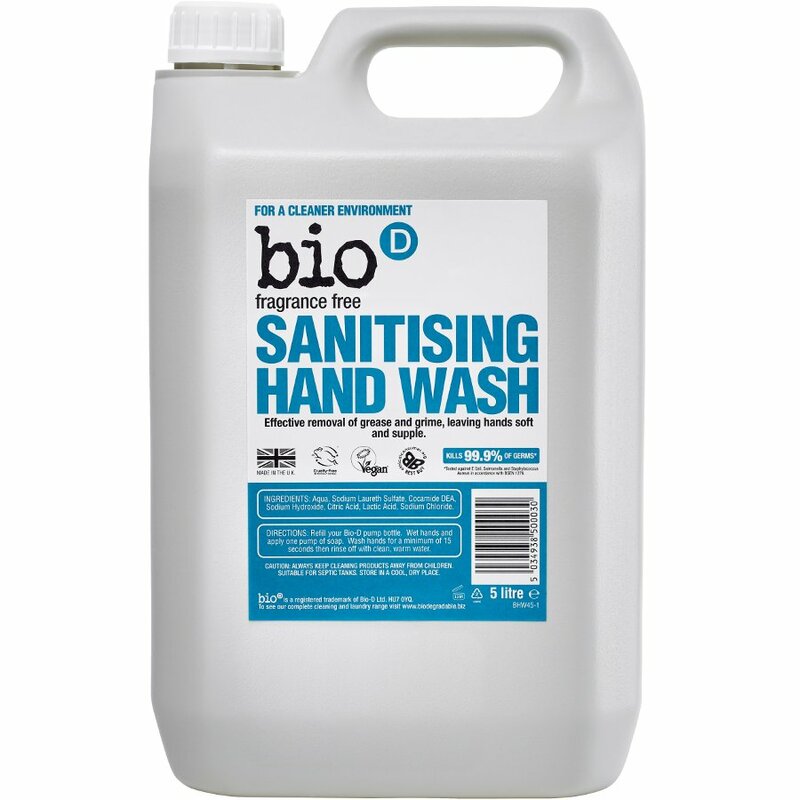 The Bio D Sanitising Handwash - Fragrance Free - 5L product ethics are indicated below. To learn more about these product ethics and to see related products, follow the links below. Good value eco hand wash. I need a low allergen sensitive handwash as I react to mainstream ones (asthma and skin reactions)and this fits the bill. Additional moisturising ingredients would be preferred, but it's fairly good as is, and good value. 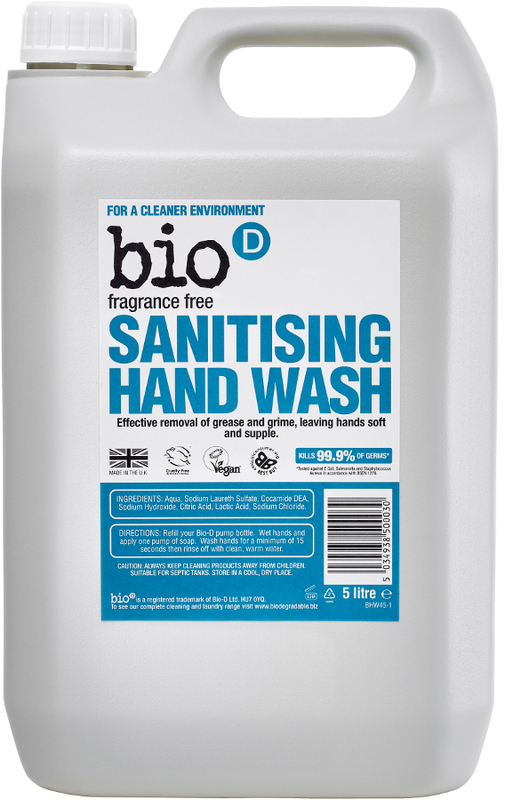 There are currently no questions to display about Bio D Sanitising Handwash - Fragrance Free - 5L.